How often do you sit still? I have to admit that this is hard for me, but today I sat and truly enjoyed the moments. I slowed down and I have to tell you, a strange thing happens when you slow down. The day feels like it lasts forever! It no longer feels like time is rushing by. What a beautiful thing. 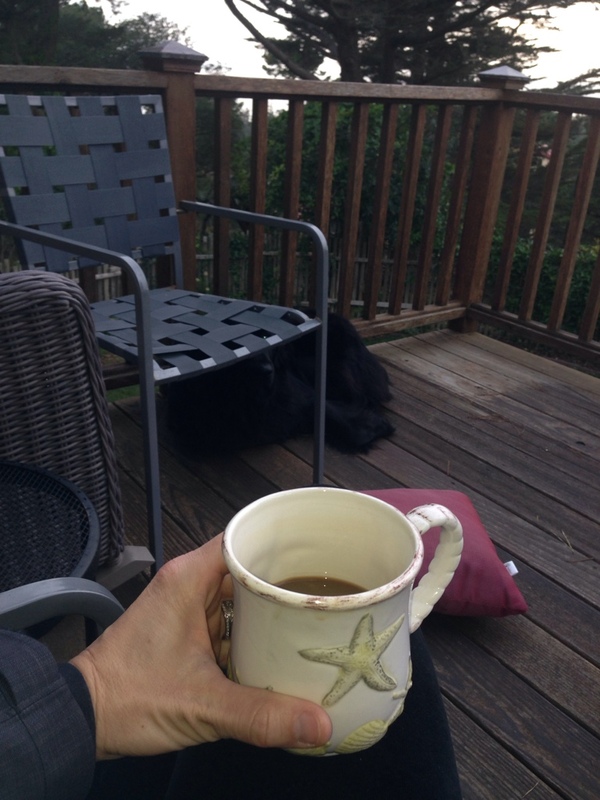 I sat outside in the cold fresh air and enjoyed the first cup of coffee of the day with Michele. We made breakfast for everyone and then we sat at the table and watched the fog come and go and the sunshine sneak in. We sat and chatted and enjoyed our kids and her dog and each others’ company. We just sat there and relaxed, with no rush and no hurry. We had ideas of what we wanted to do today, but we let the day unfold and enjoyed the moments. Sit happened. Life happened. And it was good today. How was your day? Did you find time to sit and just be? I hope so!